and Jungle Comic Books for sale. Gold Key, Charlton, & Marvel Comics. We collect and resell Superhero, War, Westerns, Horror, & Romance comics from the Silver and Bronze Ages. Please review the comic book covers below to find your favorite collectible. Whether it's a hard-to-find signed FF comic or a Harvey Spyman, you're sure to find something you'll love here. Visit our eBay store for more comic book collectibles from Dell, ACG, Atlas, Archie, Harvey, DC Gold Key, Charlton, & Marvel Comics. Please be sure to sign up for our eBay store newsletter to stay up to date on our latest offerings. In Your Comics Collecting Experience! We ship MOST items WORLDWIDE!! Just Listed..... HI-GRADE Collection of KAMANDI Comics by JACK KIRBY ! We specialize in Silver and Bronze Age Comic Books in a variety of genres from many publishers. Click on the cover picture links below to view those comic titles in our store. All of our 20 custom store categories are listed along the left hand side of this page. We have over 30 years experience in grading comics and are extremely conservative in our grading. Our customers appreciate our grading and shipping practices - see our over 7,694 positive feedbacks. Be sure to add my eBay Store to your favorites list! About Make It So Marketing ! 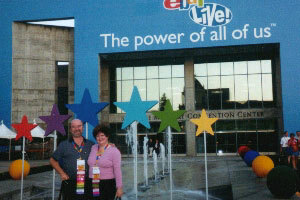 On eBay since January 1999, we are an eBay Power Seller! 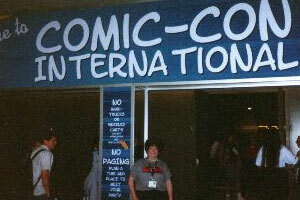 We have been serious comic book collectors since 1963, buying and selling comics at the San Diego Comic Con since the 1970's. Our ebay feedback reflects what our customers think of our packing, shipping and grading. We use the criteria in the latest Overstreet Guide to grade our comics. Comic book grading is a subjective art with different defects causing some collectors more concern than others. E-mail us if you want to know further details of any aspects of any books. Over 3,493 different eBayers have bought from us! We now have over 7,694 total positive feedbacks. Please check out the comments from our winning bidders ! FOR 1 to 10 COMICS: Shipping & Handling is $8.50 for Global Priority Flat Rate Mail via USPS. PLEASE NOTE: Giant-Size / King-size / Annuals are considered 2 comics for shipping purposes. We only SHIP GLOBAL PRIORITY FLAT RATE MAIL to Canadian Bidders. Please do not ask us to ship surface mail ! FOR 1 to 10 COMICS: Shipping & Handling is $10.50 for Global Priority Flat Rate Mail via USPS. We only SHIP GLOBAL PRIORITY FLAT RATE MAIL to International Bidders. Please do not ask us to ship surface mail ! Please email us first to confirm that Global Priority Mail goes to your country. The USPS does NOT ship Global Priority Mail to ITALY, and some other countries. We enjoy shipping Worldwide where possible! We will insert up to 10 standard sized comics in a Global Priority Flat Rate Envelope. Count giant-size comics as 2 comics. We only SHIP GLOBAL PRIORITY FLAT RATE MAIL to International Bidders.. Please do not ask us to ship surface mail ! 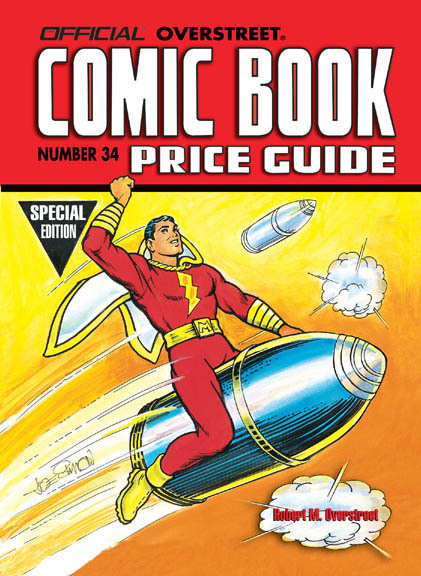 We grade /price our comics using Overstreet Grading And Pricing Guides ! PLUS 35 Years of Experience !! Please buy with confidence in our grading raw unslabbed comics! We now have over 3,493 different eBayers have bought from us and given us positive feedback ! This New Web Site has been viewed times since March 26th, 2004. (C) COPYRIGHT 2004 - 2005 BY MAKE IT SO MARKETING, INC. ON ALL NON - COPYRIGHTED MATERIALS. PERMISSION IS GRANTED TO ELECTRONICALLY COPY AND TO PRINT IN HARD COPY PORTIONS OF THIS WEB SITE FOR THE SOLE PURPOSE OF PLACING AN ORDER OR USING THIS SITE AS A SHOPPING RESOURCE.